The world-famous Hakkasan finally opens in Jakarta, adding to the prestige and excitement of the capital’s culinary scene. Serving signature Cantonese dishes, Hakkasan is a brand with its original restaurant at London’s Hanway Place (one Michelin-starred since 2003). Hakkasan in Jakarta itself is the12th to open, following those in Dubai, New York, Miami, Las Vegas and Shanghai among others. 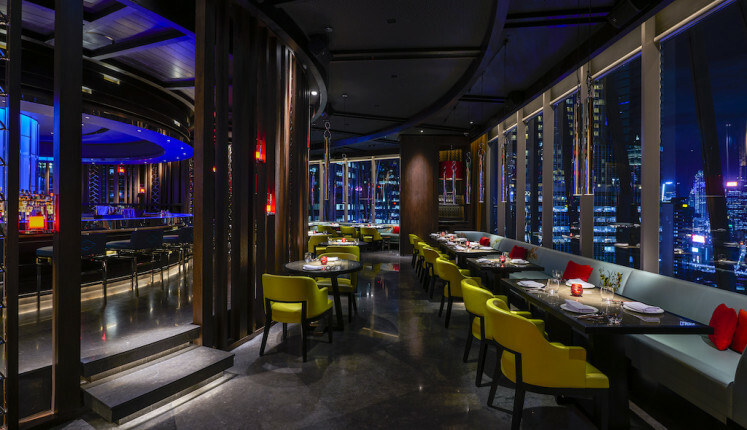 Located on the 25th floor of the newly opened five-star hotel Alila SCBD, Hakkasan Jakarta is said to be the highest among the brand. While foodies in the capital have heard of the opening plan for quite some time, the restaurant might have taken its time to prepare well. It is now ready to open for lunch and dinner, while many other new restaurants of its caliber might play it safer and start with an opening for dinner only. 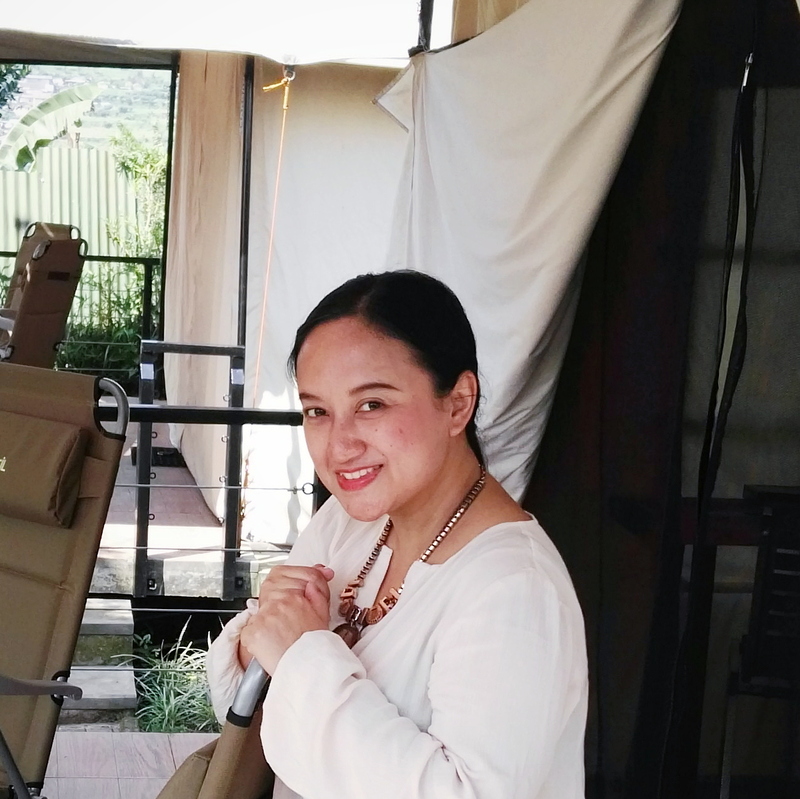 The Jakarta Post attended the opening dinner on Thursday, witnessing how there was a curved bar just a few steps away from the restaurant entrance. The bar is surrounded by a dining area with sweeping views of metropolis Jakarta. Guests at the opening night were first presented with options of welcome drinks, from the non-alcoholic Virgin Hakkatini to Smoked Negroni that many found to be addicting. Hakka, the original cocktail version of Virgin Hakkatini, is a mixture of vodka, sake, lychee, lime, coconut and passion fruit. Canapes were served to be paired with the welcome drinks. 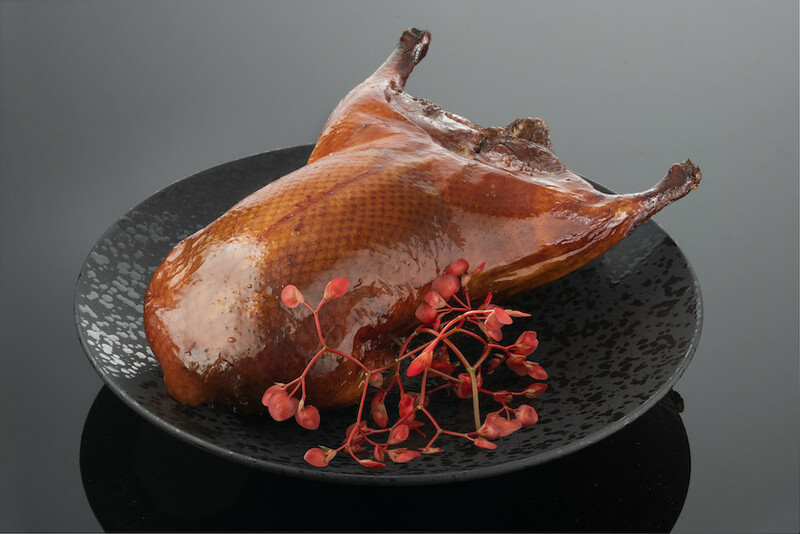 One of them is Peking duck with caviar, which seems to keep coming from a live station where it is prepared. When dinner finally commenced, crispy quail egg puff was the first to be presented. This small bite falls into the category of “only at” dishes, meaning that it is only available in Hakkasan Jakarta, created based on the seasonality and local produce available. 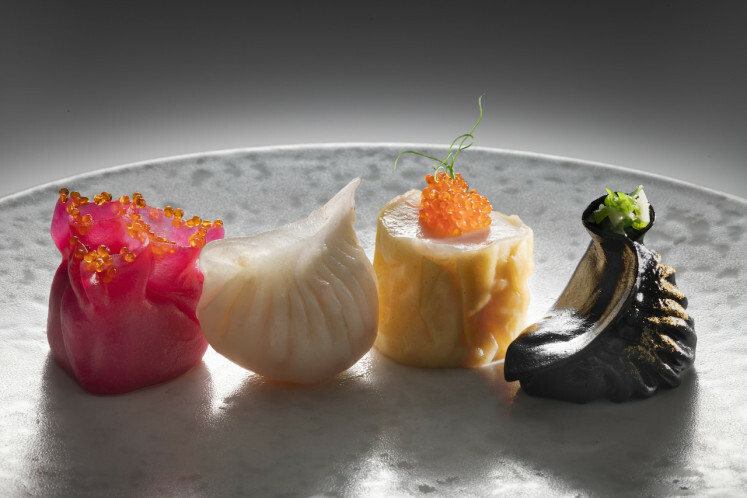 Supreme dim sum platter, comprising scallop shiu mai, seabass dumpling, truffle har gau and lobster crab dumpling followed the quail egg puff. Each item in the platter is considerably large compared to average dim sum, looking shiny under well-appointed lighting above the table, especially in the case of seabass dumpling with its gold-sprinkled black skin. The favorite at the table that the Post shared with fellow journalists, however, is the truffle har gau. Among different dishes served as the main course, stir-fry black pepper rib eye with merlot and roasted truffle duck with mushroom tea tree are those that stood out. Meanwhile, the three-style mushroom stir-fry with gai lan and macadamia nut, as well as abalone and dried scallop fried rice made the whole food composition felt whole. Leaving without savoring dessert, however, is not recommended. Durian lovers must try the black swan puff filled with musang king durian, while chocoholics should indulge in chocolate peanut. Taking the shape of an oversized peanut, the latter oozes caramel parfait, crystalized peanut and salted chocolate sauce. Washing it off with white peony tea couldn’t be a better idea. Now that we know how dinner is like in Hakkasan, lunchtime is when full a la carte and yum cha menu is available as options. The yum cha is also said to fit in an under-one-hour experience, with the business professionals in mind when the menu was being developed.